Nathaniel Treadway was the first Treadway in New England, arriving in Massachusetts in 1630. 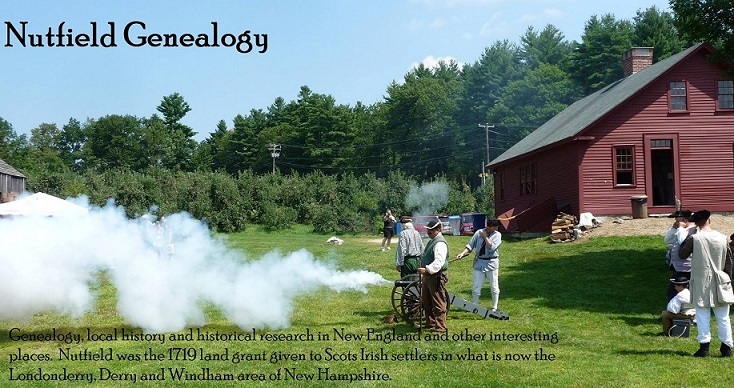 He was a weaver and he settled first in Watertown and then at Sudbury, where he was an original grantee in 1638/9. His house lot was located between John Knight and John Stone, who was married to the daughter of Elder Edward Howe, his uncle. When Elder Howe died in 1644, Nathaniel Treadway inherited his land in Watertown. He also inherited land from Deacon Stone. This has caused some genealogists to guess that Treadway’s wife was a Howe, which is an erroneous conclusion. Nathaniel Treadway’s parents were Nathaniel Treadway and Mary Howe, married at St. Botolphe parish, Colchester, Essex, England on 21 September 1614. Mary Howe is the daughter of Edward Howe and Ann Lumpkin, baptized at Boxted, England on 23 January 1591/2, and sister to Elder Edward Howe of Massachusetts. Although you may read incorrectly that Nathaniel Treadway’s wife, Sufferana (AKA Sufferance) was the daughter of Edward Howe. The truth is found in the Middlesex South County records, probate, 25 May 1659, proved 4 April 1665 name Walter Haynes’s daughter as Treddoway (TREADWAY). Nathaniel and Sufferana Treadway are buried in the Old Burying Ground at Watertown. Nathaniel Treadway’s story and his mother’s lineage are outlined in The Ancestry of Eva Belle Kempton 1878-1908, Part 1: The Ancestry of Warren Francis Kempton 1817 – 1879, by Dean Crawford Smith and Melinde Lutz Sanborn, NEHGS, 1996. There is also a sketch in Divided We Stand: Watertown, Massachusetts 1630 – 1680 by Roger Thompson, University of Massachusetts Press, 2001, pages 44 – 50. There is also information found in Genealogy of the Families and Descendants of the Early Settlers of Watertown by Henry Bond, NEHGS, 1860. The New England Historic Genealogical Society Register, Volume 65, pages 295 -297 present the case for Sufferana Haynes as the daughter of Walter Haynes. 1. Nathaniel Treadway, son of Nathaniel Treadway and Mary Howe, born in England and died 20 July 1689 Watertown, Massachusetts; married to Sufferana Haynes, daughter of Walter Haynes and Elizabeth Gourd, who died 22 July 1682 in Watertown. Seven children. 2. Lydia Treadway, born 1 September 1649, died 18 September 1743; married on 2 October 1667 to Josiah Jones, son of Lewis Jones and Anna. Ten children. You have so many rich and information-laden sources in which to search for your lineage! There have even been disputes among genealogists about who married whom. If you'll forgive a pun, you are discovering facts about the Treadways in well-trodden ground! Maybe this is generally true of New England genealogy. And I love the fact that you know so much about the emigrations from the Old to the New Country, with records on both sides of the pond. Rewarding to read about.